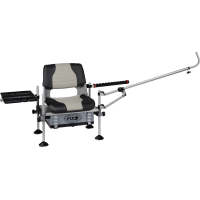 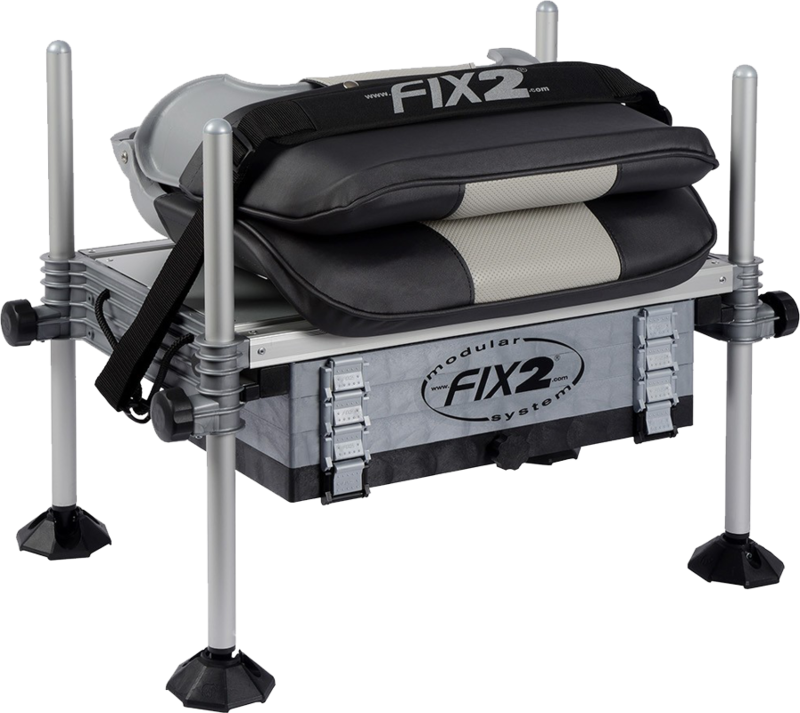 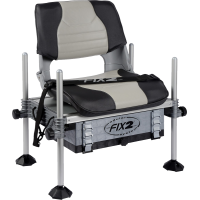 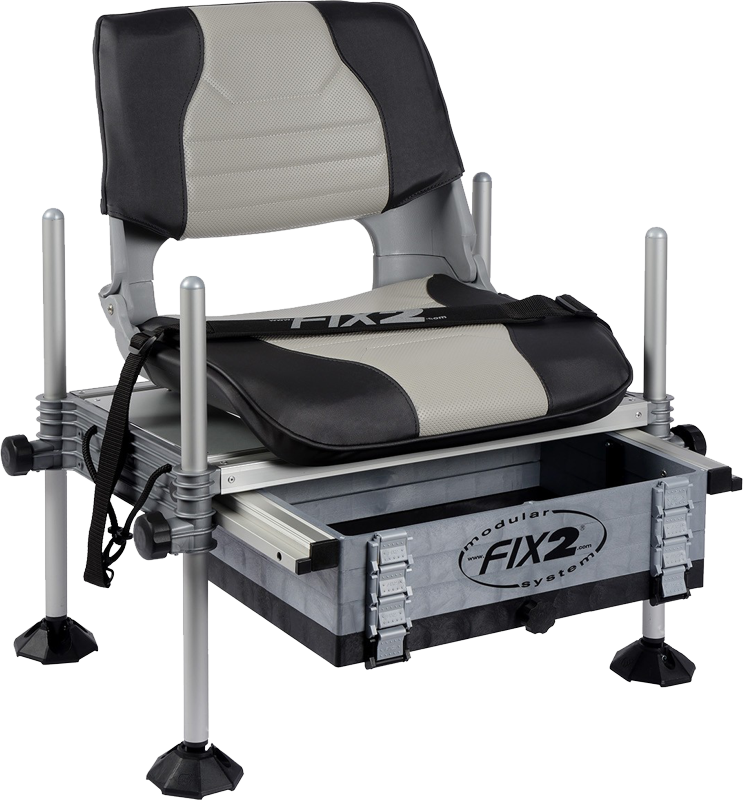 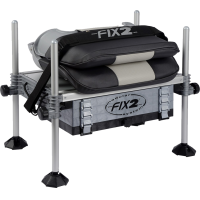 Practical fish chair with anodized aluminum frame with large sliding module (12 cm) at the bottom to store accessories: seat box with high comfort cushion and foldable backrest. 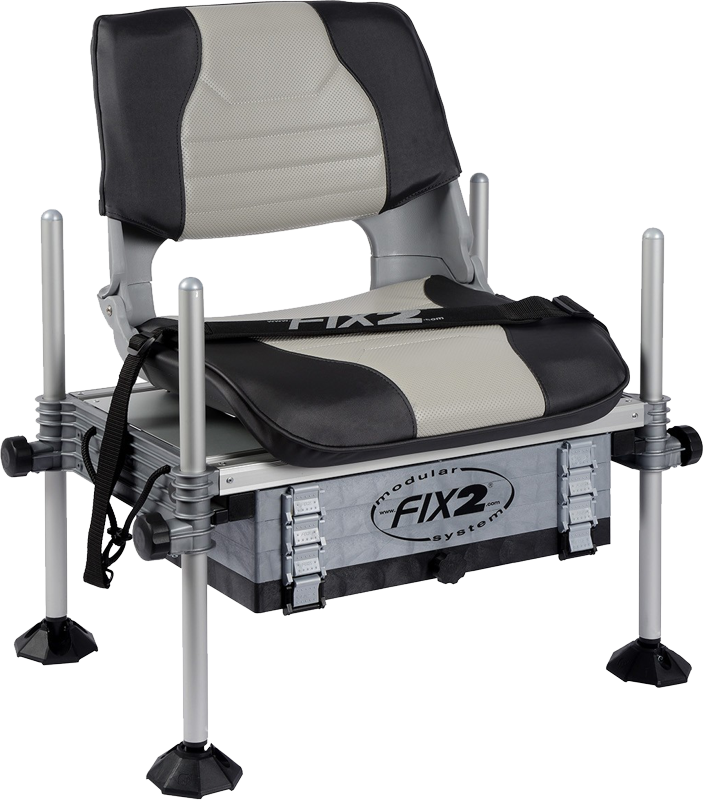 All legs of this chair having pivoting mud feet. 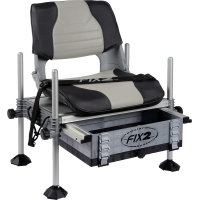 This fish chair can be further expanded with several accessories.